We had been quite anxious over the holidays with thoughts and (yes I will admit) worries about this baby coming early and what a December birthday would bring. I was term on Christmas Day. We would be alright whether it was a 2016 or 2017 baby, but sitting in the unknown was a challenge. I see this challenge as a glimpse of true reality, a moment to moment experience where we have no choice but to live in the present. This is foreign to me since a lot of my life and thoughts are spent living outside the moment, in the past or future, thinking I have control over all that happens. The days leading up to birth taught me about living in the present as no other life experience has, and the moments within birth did the same. After New Year’s Day passed, we breathed a little easier, knowing this baby would be the oldest of his or her grade and their birthday wouldn’t be plagued by the holidays. I spent the days continuing to check things off my to-do list, and although we suspected this baby would be early like our last, we were prepared to wait and wait and wait. I wondered a lot and asked a few of my friends with two or more babies what their birth experience was like. We were excited, and held great expectation and wonder. We anticipated the incredible and we kept our hearts waiting. I trusted in the fact that birth happens when we’re dwelling in the parasympathetic response of the nervous system, praying and hoping our first child would be asleep and this baby would come in the nighttime. It was Thursday January 5th in the morning and I noticed some bleeding followed by light cramping. I said to my son “Your brother or sister might be arriving soon!” and he said: “baby coming out of mommy’s tummy!” So I promptly put him in the stroller and we went on our traditional trip to the bakery for a croissant followed by a walk around Value Village, since it may have been our last for a while. I savoured the moment. After our stroll I had an appointment to see my Naturopath for some acupuncture to naturally encourage birth to start. We decided to do all the pressure points to spur on labour while we shared our previous birth stories. After this my son and I came home and I called my husband to keep him updated, telling him to stay at work until I called again, encouraging him to get as much work done as he could. He came home for dinner and we proceeded to get our first son off to sleep and the house cleaned up. I still wasn’t convinced I was surging, but just then I received a call from my midwife who had a feeling I was in labour. I had shared with her a few days previous that I had been cramping on and off, and so she was checking in. Around 8pm I called her back, it was official that I was definitely in labour! “Megan, you will have your baby tonight!” she said. This truth was almost unbelievable, another human being will arrive into our home tonight?! I showered and then went upstairs to lay down and see if I could sleep a little. My husband was downstairs watching the World Junior Hockey Championships while setting up the living room which was to be our birthing place. I was thankful he had just done a big grocery shop and we had plenty of tasty, nourishing food in the house. I laboured well on my own in bed as long as I could with frequent visits from my husband. We both were incredibly excited at what was to come. By 10pm I moved down to the living room as the intensity built. Eventually I felt like the game wasn’t letting me progress, so we shut it off. I was surprised to feel my contractions quite strong but still seemingly far apart, still about 7 minutes between. We tried the birthing ball, draping my upper body over it, but it didn’t feel right. The best position was standing, to prevent my hip flexors from contracting. This was a sensation that arose fiercely as it did in my first birth. We called the midwife again at 10pm, she arrived at 10:30 and said I was around 7cm dilated. Right away she called the back-up to get ready, the backup midwife arrived an hour later. After labouring for a while longer, our oldest son woke up. My husband went into his room and got him back to sleep within minutes. Labour stalled as I waited for my love to return, on a primal level I didn’t want this baby to arrive without him. When my husband returned, I felt “the urge to push”, a feeling I never felt in my first birth. I was happy and confused and afraid. I was worried about my hip flexors and what position would feel best, and I was afraid of how long I may be pushing. I encouraged myself to stay in the moment, stay in the moment. Be as present as I could for the arrival of this child. The main part of my water had not yet broken, so my midwife offered to go in manually to break it. I said yes, trusting her. It was unsuccessful, and I continued to search for the right position to push in. All fours? No. Side-lying? No. Birthing Ball? No. Back? Not even trying. I ended up standing again to fend off my hip flexors, and eventually moved to a squatting position with my arms around my husband’s neck. After 4 solid pushes, the main bag of waters burst and baby flew out along with it. I exhaled a loud sound of relief and everyone cheered; another beautiful baby boy! Our oldest woke again in perfect timing, my husband retrieved him and he met his new baby brother right along with us. Everyone was calm and happy and present. Baby was healthy and also seemingly small. I revelled in his presence; a miracle. We all sat together on the couch as the midwives continued their work. Baby was on my chest, and we snuggled under a blanket. He weighed in at 6 pounds, 8 ounces. By 1am I was nursing. This tiny boy is small but powerful. I feel like everything is going to be okay since he is around. He gives us assurance and peace. He brings love. Last week each of my classes surrounded the theme: ‘Your Birth Place. As always, the range of places was beautiful. From any hospital around the city, to Toronto’s Birth Centre, to planned home births. It was lovely to share with others and see the variety of settings in which these mamas will birth! Blessings and peace to you this holiday! Last week each of my prenatal classes surrounded the theme of Your Primary Caregiver. It was wonderful to see the vast spread of people with different caregivers for their births. I left it at that, allowing each person’s share to resonate and integrate into our shared pregnancy experience. A number of months back I posted here some questions to ask your healthcare provider. If you are not satisfied with the care you’re receiving, this old post may help you! During each of my classes last week I started with the question: What is a tool you plan to bring into your birth? I had some incredible answers. Including ‘Focusing on Myself’, ‘Not having any expectations’, and ‘Living in the Moment’. Each were encouraging for myself and all the other mamas in the room! The inspiration for this question and overall theme came about while I was going over my old prenatal yoga teacher training notes. I was thankful to come across this acronym that we learned to provide us with tools and tips during birth. I decided to craft my classes last week around sharing this acronym and all it’s wisdom. B – Breathe. To bring your body into a parasympathetic nervous system response (where birth happens), we can work to make our exhales longer relative to our inhales. This will keep us relaxed and able to mentally focus on the work of labour. Breath is also our anchor. No matter what happens as our families, bodies, and homes change during birth, our breath remains the same. U – Urinate. Creating space for baby by clearing the bladder often is useful in labour. This also tells us that we should be drinking water during labour to keep ourselves hydrated. Also, the ‘birth cave’ or bathroom can feel like a safe, contained place to labour. Sitting on the toilet can be a helpful position to encourage the hips to open! R – Rest/Relax. Remaining in the ‘Rest and Digest’ response of the nervous system (parasympathetic) will make it easier for us to effectively rest and relax between surges. Living in the moment and enjoying this natural break in work instead of worrying about the next surge will help us to labour effectively. Between surges you may find it helpful to be in child’s pose (or some variation), a forward fold, sitting, or draped over a birthing ball. P – Positions. Knowing that you can vary your positions throughout birth (and varying them as needed) is important. Although we don’t know what position(s) our bodies will crave until the moment comes, we can be prepared with various positions in mind ahead of time. Squatting, All Fours, Child’s Pose, the Birthing Stool, Sitting or Hugging a Birthing Ball are just a few. Penny Simkin’s The Birth Partner has a huge spread of useful positions you can use. E – Environment. There is a lot we can do to control our birthing environment. Whether you birth at home, the Birth Centre, or the hospital, it is wise to do what you can to make your space comfortable, relaxing, and peaceful. Make sure you are surrounded by people you can be vulnerable with – you can invite/uninvite whoever you want to your birth! It is your choice alone as to who is there. Also, having supportive things around you such as your favourite tea, music, essential oils for smell, or even your favourite foods. Comfort is key to keeping yourself in that parasympathetic, safe birthing state. E – Encouragement. Make your birth team a team of cheerleaders! Your partner, best friend, sister, mother, father, doula – if they’re not on your team and rooting for your best interests, perhaps they don’t need to be there. Don’t be afraid to speak to your team about your desires for an encouraging, supportive environment – if you’re up front about this ahead of time you will thank yourself. Wishing you all the best in your birth preparations. May you take any of these tools that can be useful for you and leave the rest aside. And remember, truly, the only thing you need to birth is right on your yoga mat. You. This past week, I was so very thrilled to bring the theme ‘Your Pelvic Floor’ into each of my prenatal yoga classes. I learned quite a lot in the process and hopefully inspired some awareness amoung my students. I even had a few come to me later in the week saying they booked in for a prenatal appointment with a pelvic floor physiotherapist! Woot! In a couple of my classes the intro question was: Have you heard of, or are you seeing a Pelvic Floor Physiotherapist? The range of answers was rather astounding. In one class, out of 11 people, 10 were seeing a PFP. In my next class, out of 7 people, every single person was not! That’s quite a difference if you ask me. 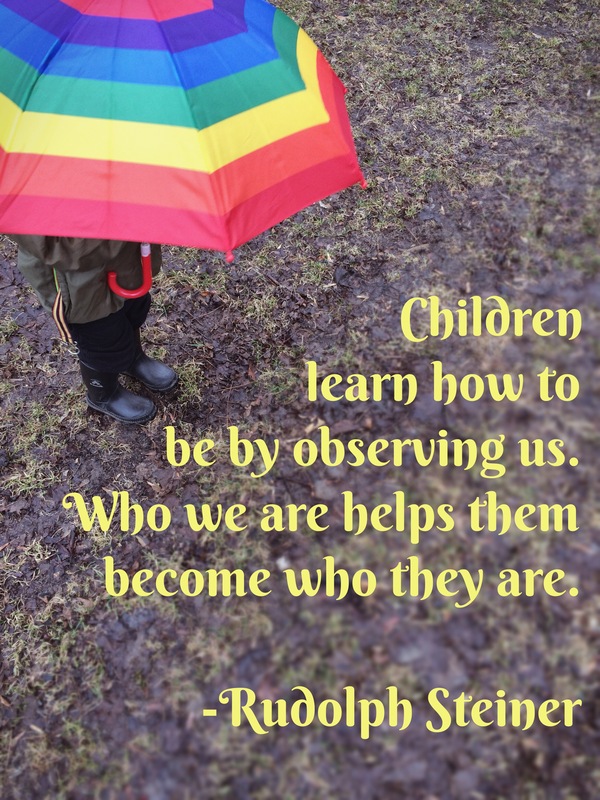 I started off each class sharing a little from this blog post from the Blooma Blog. I then took a solid 15 minutes to do a few incredibly powerful pelvic floor/abdominal exercises, adding in layers of depth after each grouping of breath. I think it’s incredibly important to include these exercises (to some degree) into a prenatal yoga class! Do I need to go before baby is born? My suggestion on this is yes! It can’t hurt! I wish I went before my first son was born to learn more about my own pelvic floor, what my strength level was, details about birth and how the baby descends, and to get exercises to strengthen and relax the muscles beforehand. Mostly though, I wish I went in order to learn about/talk about how to ‘push’ ahead of time. What does the physiotherapist do in a session? Most PFPs go in and do an internal, manual exam to check out your pelvic floor and determine if you need to work on relaxing or strengthening the muscles. In my case, we had to practice ‘awakening’ my pelvic floor and figuring out the cues to get this mind-body connection to turn on. After figuring out the right cues for me, I could go home and have a better idea of how to do the exercises and how it was supposed to ‘feel’. It all was incredibly eye-opening and encouraging to get to know this part of the body on a different level. I feel like after the experience of birth, with my core and pelvic floor ‘falling apart’ in a way, building it all back together has taught me in unthinkable ways about how my body works. This knowledge has changed who I am. Doing this special and important core work will also help you with incontinence after birth. It’s true mamas, you needn’t suffer in silence when coughing or sneezing – there is much you can do to avoid these issues and any pelvic pain you may have! The PFP also will check your diastasis (the degree of separation of your abdominal muscles) and help you to do your best to minimize this separation and rebuild your core in a safe and healthy way. There are many common exercises that are done in yoga (or even throughout our daily lives) which should be avoided for potentially up to a year postpartum in order to properly rebuild the core. For this reason alone, I recommend seeing a PFP! A PFP is like a personal coach in rebuilding your core and body after birth, now who can say no to that! Thank-you to all the people out there who are practicing pelvic floor physiotherapy. Your work is inspiring to me and I will do all I can to spread the word of pelvic health. If you have any questions or live in the GTA and would like a referral to a GOOD PFP, please leave me a message.